This archive and exhibition project of the New Society for Visual Arts (NGBK) Berlin examines the complex problems arising from the limitations of bipolar male-female gender systems, and investigates the production of truths and realities through which such systems are normalized. Through the realities of Intersex people (or „Hermaphrodites“) the exhibition portrays how cultures and societies use bipolar gender models to produce exclusion and demarcation. How natural is it to divide humans into no more and no less than two sexes? Is it alright for fundamental human rights to be violated, in order to keep this binary gendered demarcation intact? The archive and exhibition project 1-0-1 intersex opens up a public polylogue regarding the social treatment of intersexuals (Hermaphrodites), whose bodies are regarded as „ambiguous“. Infants continue to be surgically made to fit into a standard two-gendered system and their diagnosis as intersexual is concealed from them even into adulthood. 1-0-1 intersex confronts the medical/psychological reasoning behind this practice with a fundamental change of perspective. The exhibition draws together experiences of Intersex activists, artistic/political positions, science criticism and legal perspectives, which show how, in modern Western society, standard binary gender conceptions are developed and then maintained by making physical diversity invisible. In doing so the exhibition explores how these concepts regulate everyday social relations and discriminate against „ambiguously gendered“ humans – thus making it clear that intersexuality affects all of us. The artistic/activist contributions to the exhibition conceptualize visual strategies against prevailing representations of a natural binary gender system. In view of the central role imaging techniques currently hold in medicine and biotechnology, visual productions dealing critically with the language of images are gaining new political significance. Some of the artistic works aim at (re)claiming normalized corporealities and sexualities and present possibilities for breaking gender frontiers. Other works refer to general social exclusions and violations, which are grounded in this „male“ and „female“ classification. For six weeks, a forum for artistic contributions, intersex and other political initiatives, critical gender studies perspectives, ethnology, history and law etc. will be presented and developed in the NGBK, Oranienstr. 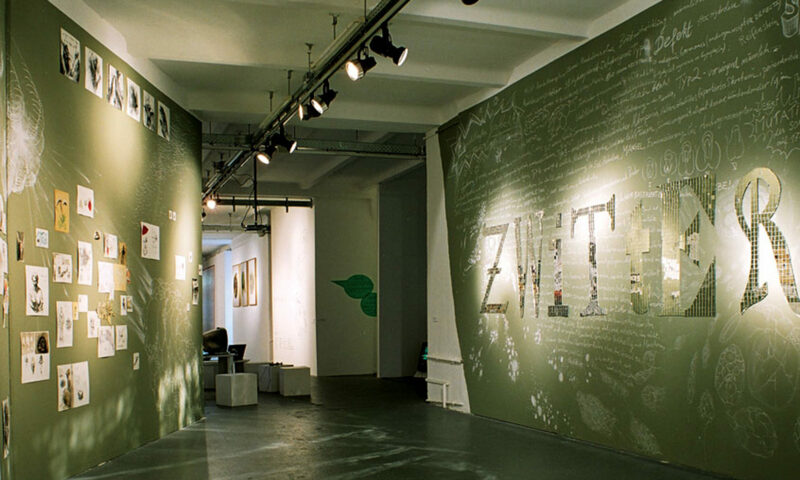 25 in Berlin-Kreuzberg (Germany). The exhibition (18th June- 31th July 2005) will be accompanied by a programme of events in June/July 2005 (films, workshops, readings, lectures, performances). 1-0-1 intersex offers an open invitation to a debate about gender borders and to further deliberations challenging the binary gender grid. Artists: Ins A Kromminga, Eli se Mbessakwini, Roz Mortimer, Tyyne Claudia Pollmann, SubRosa, Terre Thaemlitz, Del LaGrace Volcano. The work group for 1-0-1 intersex: Ulrike Klöppel, Ins A Kromminga, Nanna Lüth, Rett Rossi, Karen Scheper.